A meta-analysis of 12 studies suggests that the nutrient acetyl-l-carnitine (ALC), when taken as a nutritional supplement, has antidepressant effects. The meta-analysis by researcher Nicola Veronese and colleagues appeared in the journal Psychosomatic Medicine in 2017. Veronese and colleagues found that in nine randomized controlled trials, ALC reduced depressive symptoms significantly compared to placebo. In three randomized controlled trials that compared ALC with established antidepressants, ALC showed similar effectiveness at reducing depressive symptoms while producing 79% fewer side effects. Doses of ALC ranged from 1 to 4 grams per day, and higher doses led to greater improvement. In the comparisons with antidepressants, the other treatments included fluoxetine (Prozac), duloxetine (Cymbalta), and amisulpride (which is not approved by the US Food and Drug Administration). 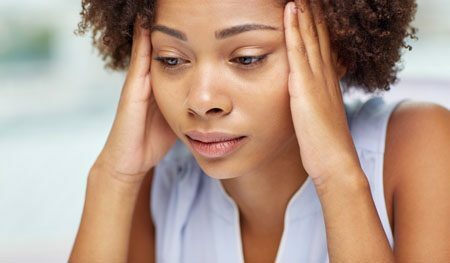 Low ALC has been linked to depression. According to Veronese and colleagues, ALC deficiency can dysregulate the transport of fatty acids across the inner membrane of mitochondria. The researchers suggest several ways that ALC might contribute to an improvement in depression. One is that is seems to promote neuroplasticity in cerebral regions implicated in depression, such as the hippocampus. It could also work by increasing brain-derived neurotrophic factor (BDNF), which protects neurons and is important for learning and memory. ALC decreases release of the neurotransmitter glutamate by increasing the production of the inhibitory metabotrophic glutamate receptor (mGluR-2) on presynaptic glutamate neurons . Another way ALC might work is by normalizing lipid metabolism. Or it could modulate neurotransmitters, increasing serotonin and dopamine and protecting against stress. In the meta-analysis, ALC produced more improvement in older patients than in younger ones. The researchers stressed the need for better treatments for older people, which may experience falls, cardiovascular disease, or increased mortality from antidepressants. 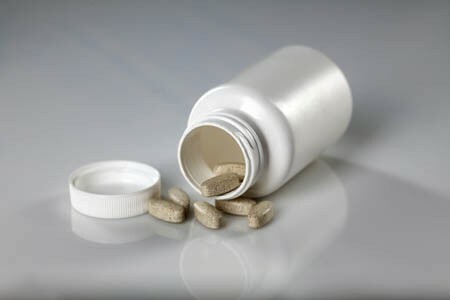 ALC also seems to improve pain syndromes, making it a good option for patients with both depression and pain symptoms. Veronese and colleagues cited another meta-analysis that found that taking ALC in addition to an antidepressant led to lower rates of adverse events than the antidepressants alone, which helped patients adhere to their drug regimen. N-acetylcysteine (NAC), an antioxidant sold in health food stores, has several beneficial effects on brain and behavior. It improves depression and can reduce cravings for cocaine, alcohol, marijuana, and nicotine, and can also help control habit-driven behaviors such as gambling, compulsive hair-pulling, and symptoms of obsessive-compulsive disorder (OCD). New research, particularly by researcher Nascaa and colleagues in 2014 and 2016, has identified a related compound, acetyl-l-carnitine (ALC), as an anti-stressor and antidepressant in animals, and researchers have begun to explore its use in people. ALC has been found to improve mitochondrial function and improve recovery from peripheral nerve damage. ALC also inhibits the release of glutamate, which can prevent depressive behaviors following stress. A 2004 study by P. Ruggenenti and colleagues in the journal Hypertension found that in people, 1 gm of ALC taken twice daily safely improved arterial hypertension, insulin resistance, impaired glucose tolerance, and low levels of adiponectin in the blood (a risk factor for diabetes) in subjects at increased cardiovascular risk. In a 2014 article in the Journal of Psychiatric Research, researcher S.M. Wang and colleagues reviewed evidence that ALC improves mild depression. Two randomized clinical trials indicated that ALC was more effective than placebo for mild depression. Two other randomized clinical trials showed that ALC was as effective as the antidepressants fluoxetine and amisulpride for mild depression. The supplement was as tolerable as placebo and better tolerated than fluoxetine and amisulpride. Wang and colleagues suggested that more clinical trials are needed to confirm that ALC is effective in depression. Editor’s Note: If further clinical trials confirm the antidepressant effects of ALC, it could represent a new way to treat chronic stress and depression and regulate insulin. Together these effects could reduce the cardiovascular risks that accompany depression.